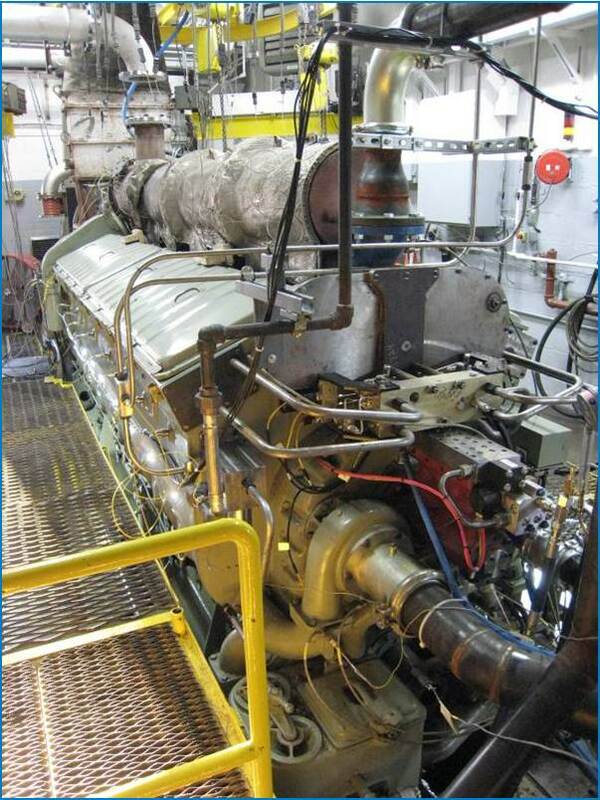 Getting a 4600 horsepower locomotive engine to run on natural gas isn’t something that happens every day. But that’s what Electro-Motive Diesel (EMD) and Westport achieved this summer when both companies ran the EMD multi-cylinder 710 HPDI locomotive engine at the LaGrange facility. Westport also has a test rig in Vancouver. EMD is an original equipment manufacturer (OEM) of diesel-electric locomotives. In December 2011, the company joined Westport, Canadian National Railway (CN) and Gaz Metro in a collaboration to demonstrate a natural gas locomotive. 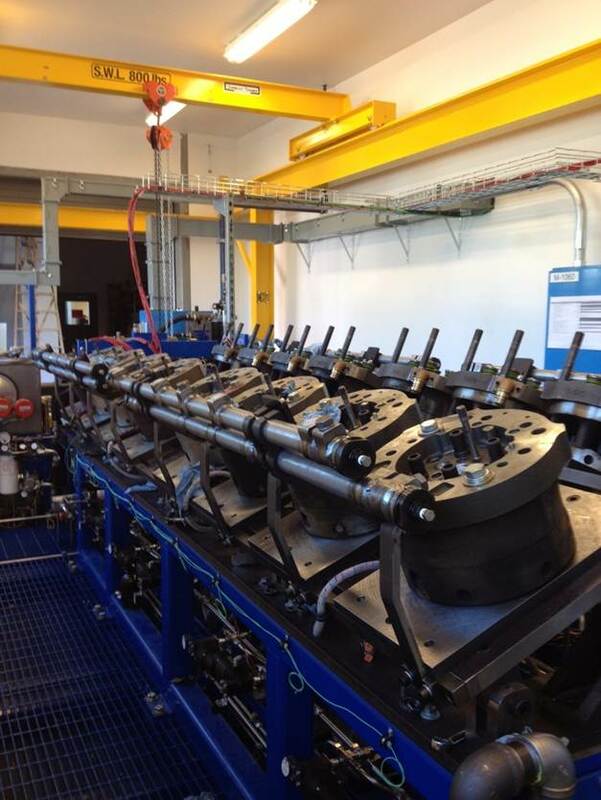 The work is part of a consortium project supported by $2.3 million in funding from Sustainable Development Technology Canada (SDTC) to test Westport™ high pressure direct injection (HPDI) technology for use in high-horsepower applications. Marti Lenz, EMD’s Director of Engine Systems, leads the project for the company from their engine testing facility in LaGrange, Illinois. “Westport is the lead, but as the OEM we’ve got a team put together helping to ensure that the engine requirements are met and that we have a robust solution when we demonstrate this on CN in the latter part of 2014,” Marti said. Part of the rigorous testing process currently underway involves ensuring the engine meets all of its performance parameters and emissions targets. The EMD multi-cylinder 710 HPDI locomotive engine at the LaGrange facility in Illinois. According to the United Nations Statistics Division, railroads around the world burn 9 billion gallons of diesel fuel annually, largely in the transportation of freight. The development of natural gas fuelled locomotives could reduce greenhouse gas emissions (GHG) and costs associated with transporting the world’s primary resources and manufactured goods. Liquefied natural gas (LNG) produces up to 27 per cent fewer Green House Gas emissions and is currently cheaper than diesel. Westport designed, built and installed the Westport HPDI fuel system on the engine and is also working on a high-pressure tender to carry the fuel. David Mumford, Westport’s Senior Director Off-Road Partner Development, says the technology is well-suited to high horsepower applications. Westport's high horsepower locomotive test rig in Vancouver, British Columbia. EMD first began investigating natural gas as a fuel for their engines in the 1990s. EMD has a heritage of selling locomotives around the world. The company sells locomotives in over 70 countries with over 62,000 sales over the past 80 years. About 25,000 EMD locomotives are currently in use in North America. Both Westport and EMD will be at the High Horsepower Summit in Chicago from September 17 – 19. EMD will be offering a tour of its LaGrange engine facility to key EMD rail and marine customers on an invitation only basis on the afternoon of Monday, September 16.